Summer is just around the corner which means sunny days full of fun right? But as a parent I’ve figured out that having fun and making memories depends a lot on me! 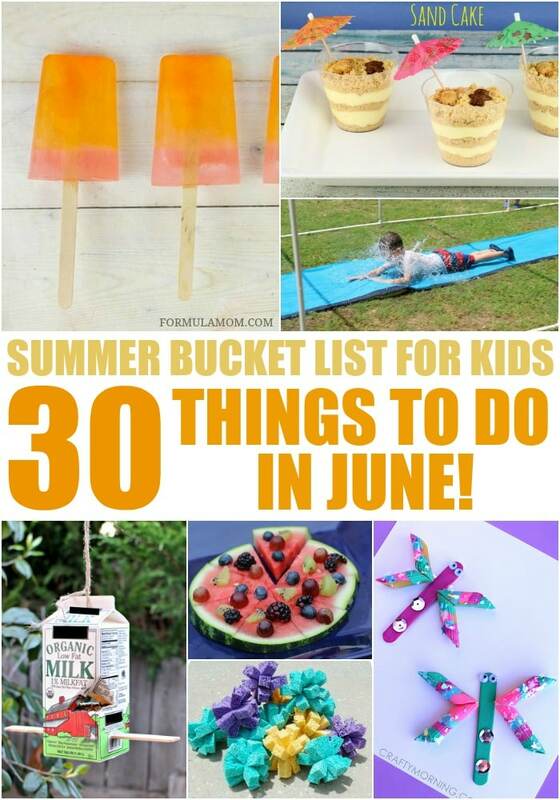 So I’ve been putting together a Summer Bucket List for Kids so we have something new to do each day this summer! June will be here before we know it so here are some easy ideas to keep you busy all month long! These ideas will definitely keep you busy throughout June! And most are easy enough that you don’t have to do too much in terms of planning. That’s my kind of bucket list! Tell me about something you like to do with your kids during the summer! 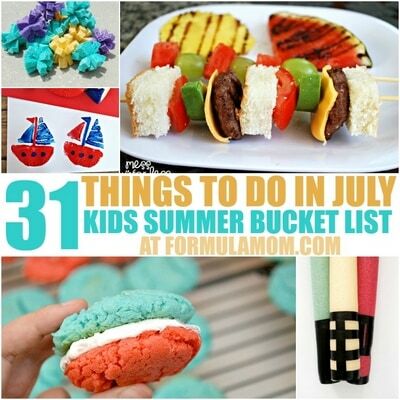 And if you’re looking for more things to do this summer, check out the rest of our Kids Summer Bucket List activities with 31 Things to Do In July! Thanks so much for including my beach ball obstacle course post! 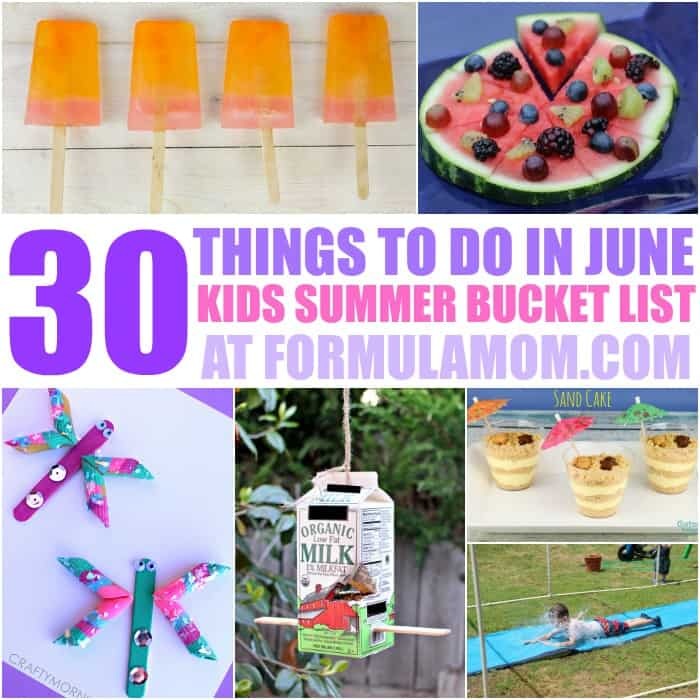 This is a great list of awesome summer activities! What an awesome list! Thanks for adding my splash pad. I can’t wait to try the rest of these! !